Virtual Reality, Augmented Reality and Mixed Reality - What&apos;s the Difference? Rate this Article We currently have what we can call three general Cyber Realities; VR, AR and MR. Let's take a quick look on how they differ from each other . In the movie Ready Player One, Wade Watts uses a special headset that gets him in and out of this digital virtual world called the Oasis. The headset is however not limited only to interacting with the virtual world but enable Wade to see the real world as well. Now 2045 is still quite a long way off but we already currently have the basics of what that futuristic headset technology uses. For the purpose of our discussion, let us label the current scope of realities that have something to do with computers as Cyber Realities. We currently have three general cyber realities available for use. If there are others, they probably are still being kept top-secret and not yet viable for public usage so for now, let's stick with the three. These realities are known as Virtual, Augmented and Mix. Virtual Reality (aka VR) is the most popular in use when it comes to the gaming and entertainment industry. When the movie TRON first came out in the early 1980's, we the viewers already started imagining things like how it would feel to be inside the computer world or the movie itself. Turns out, a lot of those who started dreaming started working on that dream as well. Finally, by 2015-16, the device that could let you experience an alternate computer world or any other virtual world for that matter was perfected enough for private and commercial use and the HMD or Head Mounted Display was born. With a VR HMD stuck to your face whether it be the high-end HTC Vive to the cheapest Google Cardboard, the device will be able to pull you into a virtual world completely separating you from your current real surroundings and place you right smack in the middle of this digital reality. Most of them give you the option to rotate your field of view 360º giving you the impression that like Dorothy, you ain’t in Kansas anymore. The second computerized reality is a little bit milder than VR. Known as Augmented Reality (aka AR). With this reality, the headset or HMD is not really a pre-requisite to view it. You can use your smartphone, your AR augmented glasses or goggles or a portable HMD like Google Cardboard where you can slot your phone in. The thing is, AR is not suppose to cut you from reality . You can still see your surroundings except that when you look through your AR device ...how the heck did that Pokemon get there? Yes, AR overlays the computer reality onto the real world that if you look away from your phone, tablet or device, that Pokemon isn't really there. 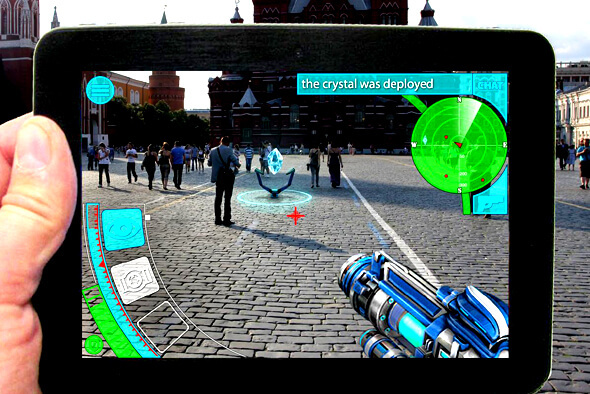 AR augments the real world with projected graphics and information with the surrounding background but that's how far it goes, the real and the augmented are not connected nor do they really affect each other. You can play Battle Chess on the dining table but in reality, the table's empty. With this two cyber realities, the idea of mixing or creating a meridian between them didn't seem far fetch at all. If the virtual world could be brought to interact with reality and vice versa, this would present another form of reality. So they started working on it and called it Mixed Reality or MR. Mixed reality let's the user work with both virtual and real environments at the same time. It's like having a hologram you can touch or interact with but you have to have that MR HMD stuck to your face. What you would see would either be your real surroundings represented in the virtual world or virtual objects that interact with your real surroundings. At this point, you not only see a Pokemon seated on a park bench but you'll be able to grab the little critter with your hands and also stuff it into a paper bag or empty poke ball as well. MR however is still very much under development as far as it's definition is concerned. At one point it may look more like extended VR and at another extended AR so it seems more work will have to be put into perfecting the technology and reality as well. Also, MR is much more complicated than the first two as it will have to rely on accurate tracking of real objects in relation to the virtual ones and the interaction between them. 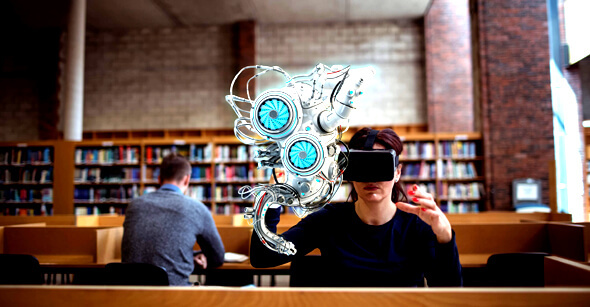 As continual development moves forward in the realm of Cyber technologies, the distinctions between VR, AR and Mixed Realities will either become clearer or indistinguishable depending on the resulting device that young people like Wade and Samantha will have easy access to in the near future. For now, users can take their pick on which reality to play or do their work on as we can only wait and see and finally make use of the technology as it comes out. Now for the fourth reality known as AWR or Alternate World Reality...well, you never know!